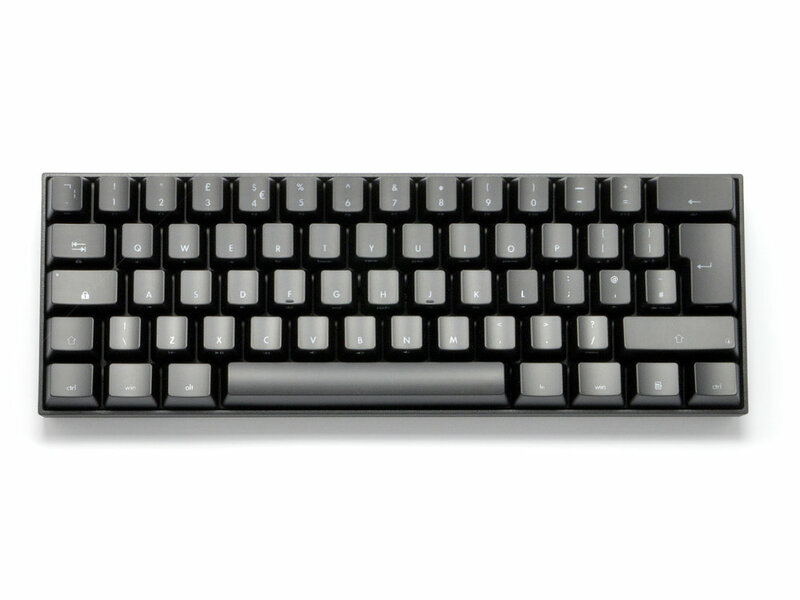 The KB Paradise V60 Plus is a mini 60% keyboard, roughly 60% of the size of a standard keyboard with 60% of the keys. The KBP-V60P-B-B/R-UK features dual LED backlighting, blue and red, both LED's can be used together in the V60PLUS giving you a range of colour options from blue through purple to red. 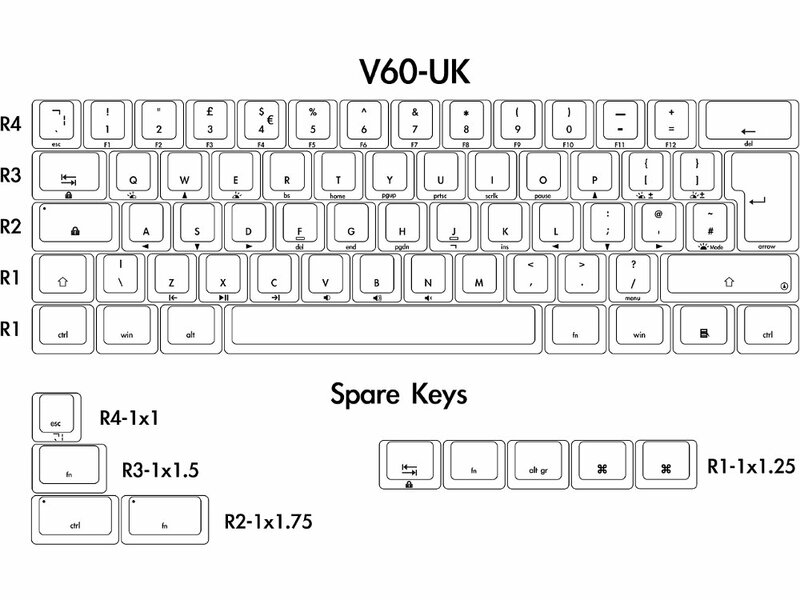 The V60PLUS has dip-switches to customise your layout with additional key caps to match your preferred layout, a key puller to help swap your keycaps, and Cherry MX Brown switches. The V60 also comes with a detachable cable, to help when transporting your keyboard. Looks better than on the picture! Very clean but stylish and looks amazing with the LEDs on - very cool purple and pink colors possible as well as plain red and blue. 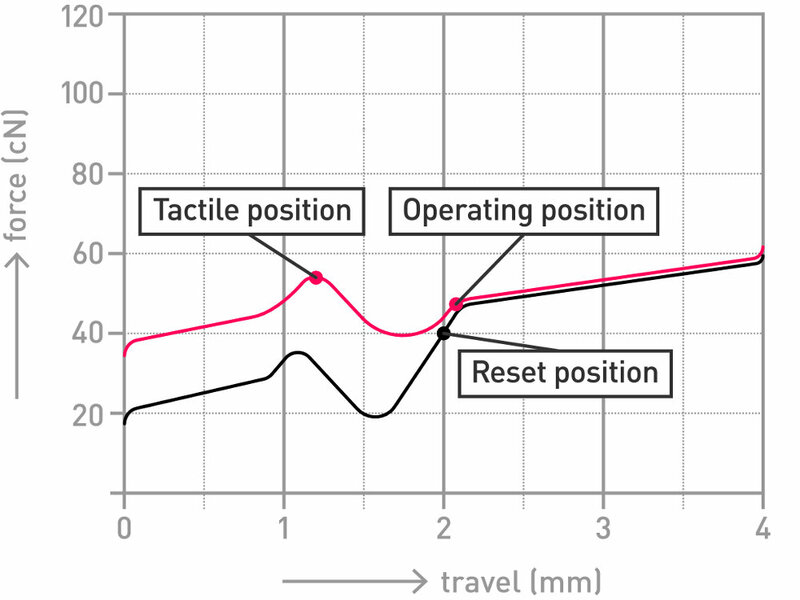 The UK layout is great for programming and the button geometry - unlike US layout's - is compatible with Nordic layouts as well. The secondary functions (arrow keys, home, en, etc.) are conveniently placed. Caps feel really nice, have a nice texture, and the resistance is just right. Not more noisy than vanilla keyboards but sounds cooler.